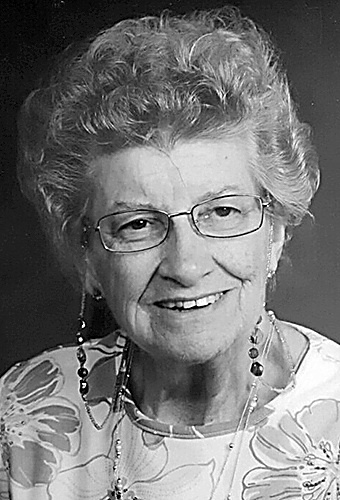 Frances Ann Pietsch Carr, 82, formerly of Cameron Road., Wellsville, was called to be with her Lord and Savior, Tuesday, September 4, 2018, at Calcutta Health Care. Born August 28, 1936, in East Liverpool, she is the daughter of the late Alfred P. and Ila M. McElfresh Pietsch Freshwater, and Step-father Charles R. Freshwater. She was also preceded in death by her husband, Joseph E. Carr; daughter, Patricia Ann Carr; and by her three brothers, Paul, Al and David Pietsch. She was a 1954 graduate of East Liverpool High School and a 1957 graduate of Ohio Valley School of Nursing. Frances worked as a registered nurse at Ohio Valley Hospital in Steubenville, now known as Trinity East Hospital. She also worked for many years at East Liverpool City Hospital. She is a member of Holy Trinity Parish, formerly known as St. Aloysius Catholic Church. Frances enjoyed quilting, ceramics and spending time with her grandchildren. She will be deeply missed by her sons, Joseph E. Carr Jr. of Wellsville, and Timothy R. Carr and his wife, Tina. ; daughters, Linda Hall and her husband, John of East Liverpool, Cheryl Evans and her significant other, Fred Maxwell of East Liverpool, Carolyn Carr of Toronto, and Deborah Koby and her husband, Ken of Austintown; grandchildren, Amy Harris (Bruce), Jessica Stewart (Bill), Randy II (Danielle Lutz), Stephanie Rayford (Wynton) and Eric Thrasher (Jill Helfrich), Heather Kirby (Roosevelt), Amber Quarterman (Shawn), Cheyenne, Timothy II “TJ”, Patricia, Sophia and Joseph Carr, Nicole Geddis (Johnny), Kara (Kurt Mandzukic), John IV and Emily Rodesh, Kenneth III and Olivia Koby; great-grandchildren, Brendon Carr, Meshach Harris, Ashton Weekly, Haylee and Landon Stewart, Kenadi Berardi, Evelyn Brammer, D’Shawn, Kailynn and Tyler Kirby, Ethan Evans, Aubrey Quarterman, Gianna, Nina and Mia Geddis and Arlen Mandzukic; and great-great grandchildren, Gabrielle Cook, Nariah Thrasher and Khya Cook. Step-grandchildren, John Jr. and Sherry Taylor (Stephanie), Amanda Evans (Alex Merdich), Carly Koby, Autumn Harris, Abbi and Dehaven Dobritz and Jacob Maxwell; step-great grandchildren, Ashley and John III Hall, Madilena Merdich, Mason Quarterman; stepgreat-great-grandchildren, Savanna and Gianna Bennett and Arianna Holby; and son-in-law, Mitchell “Nick” Evans and John Rodesh. Father Scott Kopp will preside for Catholic Funeral Liturgy, at Holy Trinity Parish in East Liverpool, Saturday, September 8, 2018, at 10 a.m.. Interment will follow at Columbiana County Memorial Park. Friends may visit with the family at Arner Funeral Chapel on Friday, 2-4 p.m. and 6-8 p.m.
Memorial contributions can be made to https://www.nationalmssociety.org/Donate; Holy Trinity Parish, 512 Monroe St, East Liverpool, OH 43920; Trinity School of Nursing, 4000 Sunset Blvd. Steubenville, OH. 43952; and the East Liverpool High School Alumni Association, 216 E 4th St, East Liverpool, OH 43920.